One thing I love more than organizing is making things pretty, both of which are in abundance around our home when the seasons change. 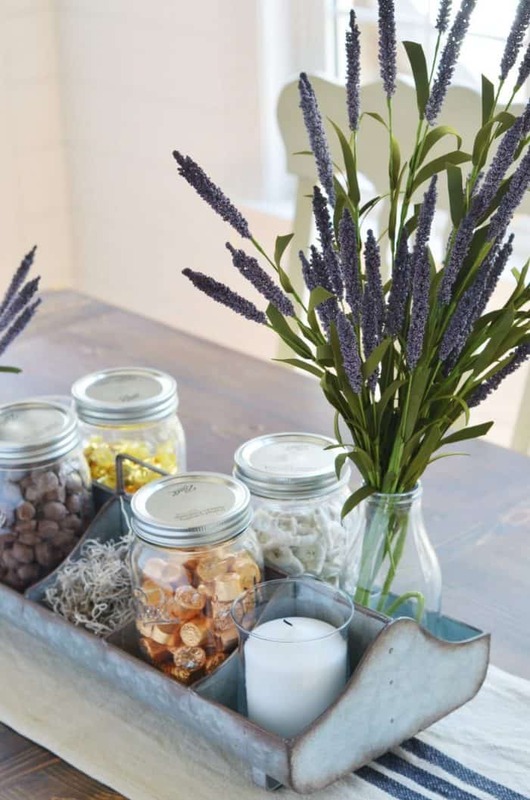 I have found that using a tray is the perfect way to gather a grouping of pretty and practical items to freshen up decor. 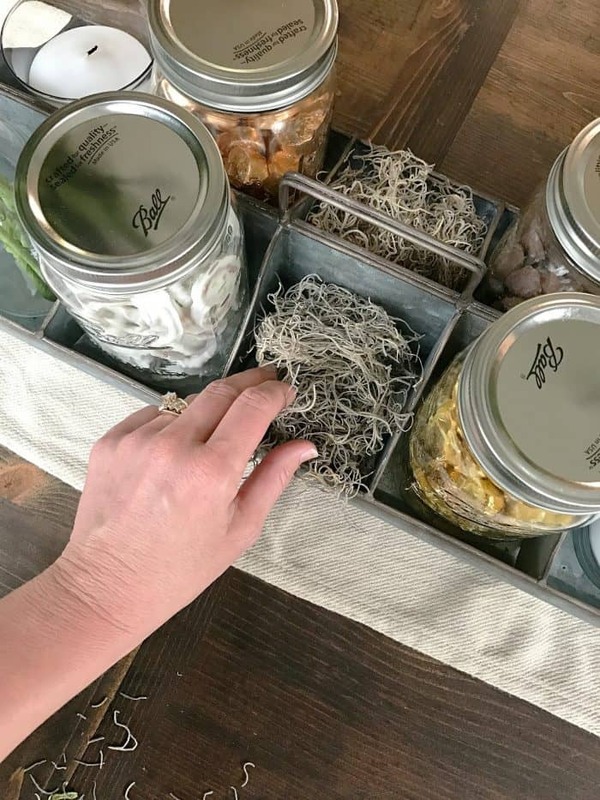 Hobby Lobby had so many tray options but as soon as I saw this galvanized metal tray with handle, I knew it was the one I wanted. It has the farmhouse touch I love and the shape and compartments give it a unique authentic style. Like I said, I love pretty home decor but I love it even more when there is some practicality to it. My mind raced with ideas for this tray. For Spring though, I wanted to add a welcome touch to our kitchen table. Once I had the tray in my cart I started gathering items to fill it. Keep in mind you want to look for items that vary in height and texture. Metal, glass and florals all did the trick for both height and texture. 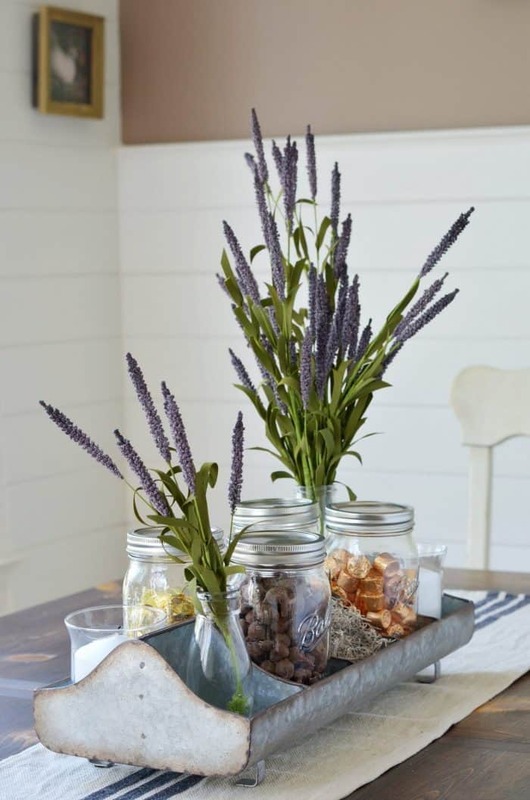 When styling the tray you will use in your home keep in mind symmetry and balance. I find it best to work from the tallest item to the smallest one. 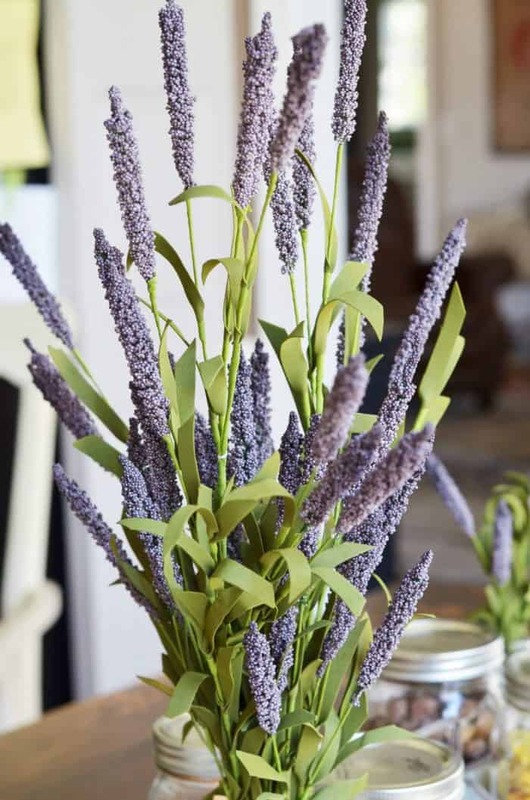 The faux lavender stems will be the tallest for this display. However, I didn’t want two identical sets of florals on each side. I opted to vary the heights of the florals. The taller one I bent the stems of the florals to give the arrangement varying heights. 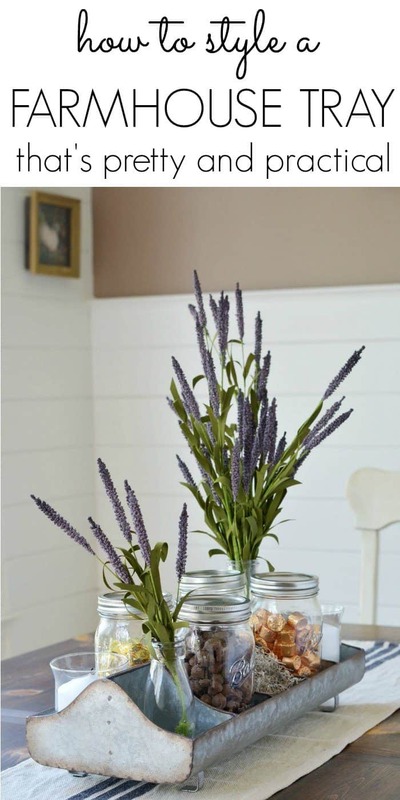 The shorter one was created by cutting the stems with wire cutters. This gives the display balance. Ball jars were added next. I wanted to use an equal amount of mason jars for complete symmetry. Candy and treats was then added to my jars. This is the practical part of my tray. Making sure that I make it pretty and keep the family happy is a win win. Home decor with function. Keep in mind the color of the treats too. 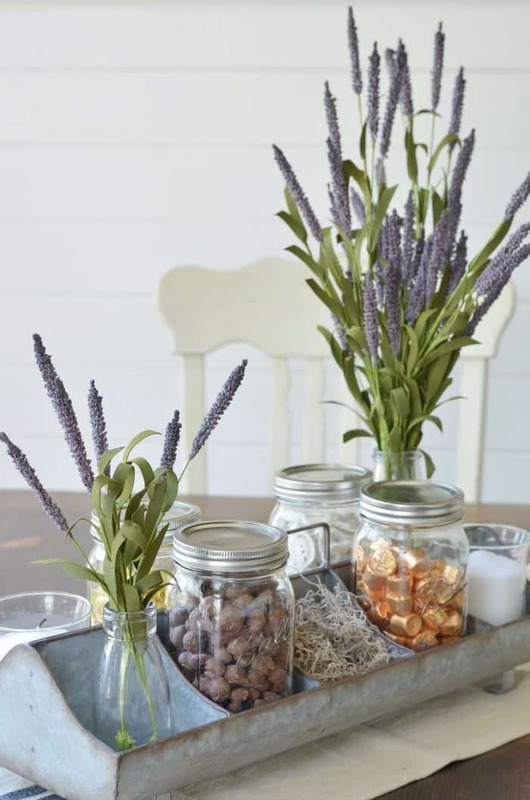 This tray would be really fun with colorful spring candies and bouquets of flowers. 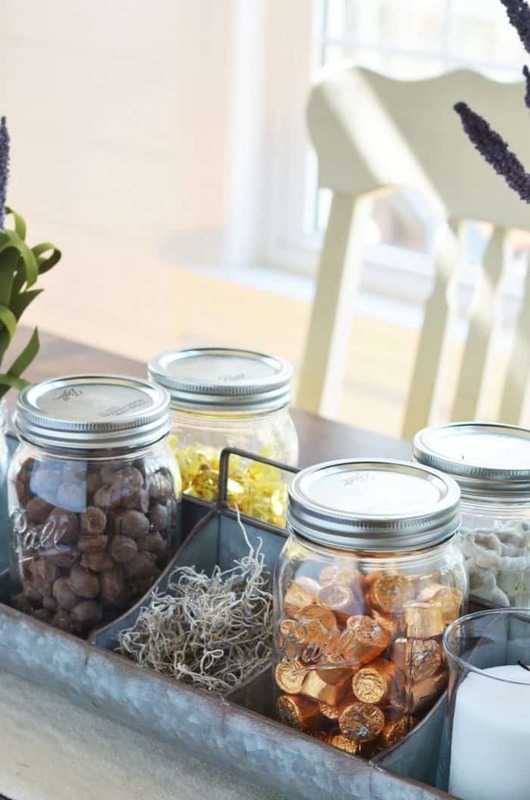 Also, if you didn’t want to have to worry about the treat colors you could always paint the jars white or a color to match your current decor. Easy DIY project. 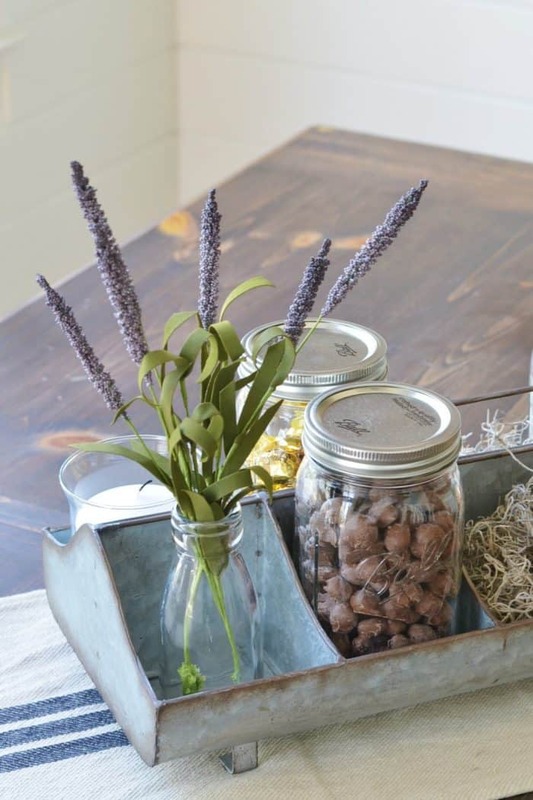 The last step for styling the farmhouse tray is the small items or filler. This is where I placed the candles and natural spanish moss. Often you have to move things around to find a good balance. 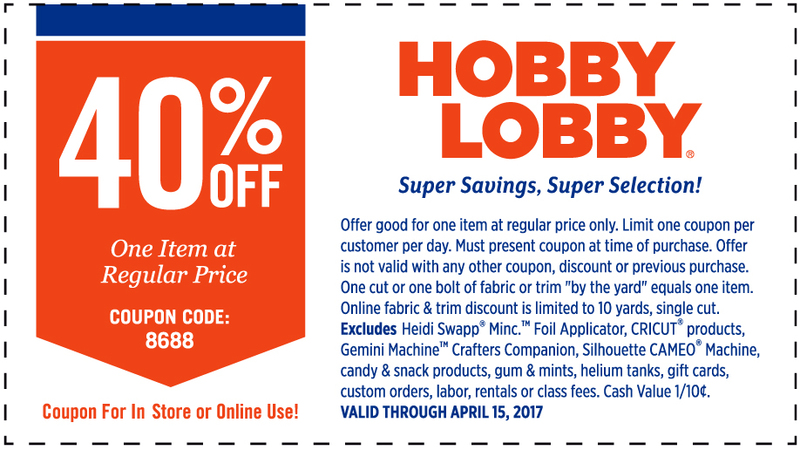 Spend money on home decor items that are first, on sale (Hobby Lobby coupon below) and second, can be used in more than one place. Use items that vary in height and have different textures for interest. 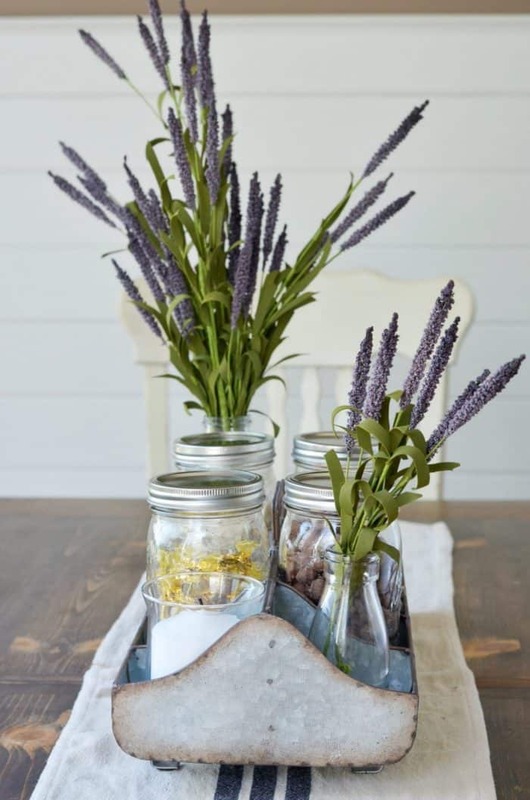 Add pieces to home decor, like the mason jars with treats, to give a pretty display practical use. 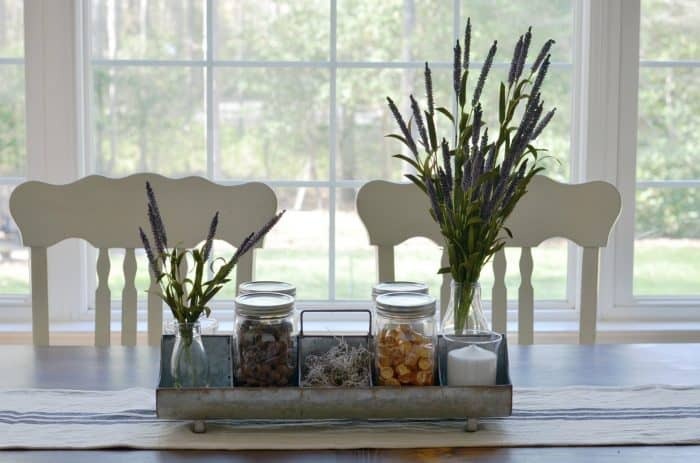 Do you use trays in your home decor? Share your tips in the comments with me. This is gorgeous! I love the simplicity and function. Also love me some Hobby Lobby! Pinning! Beautiful! 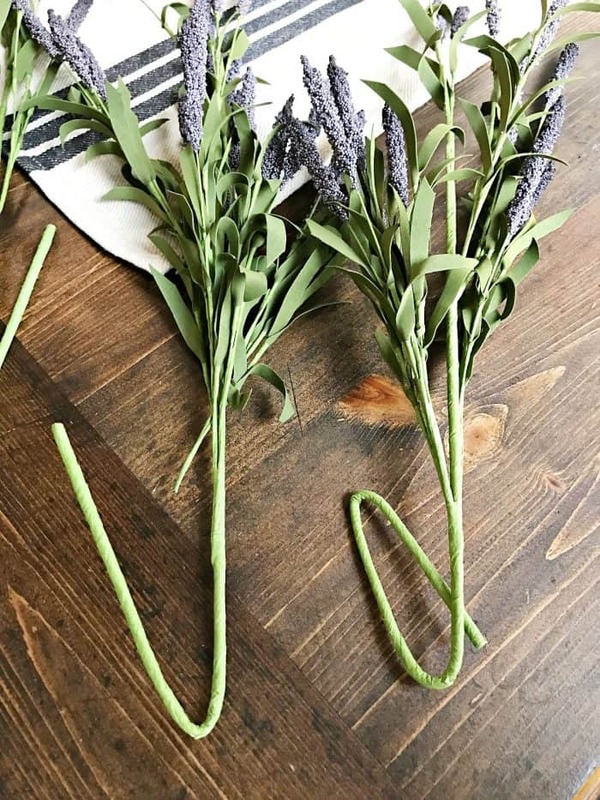 Those lavender stems are so pretty!